What does the term “catface” mean? Well, there are plenty of definitions but in this instance a catface refers to a type of scaring left behind by the extraction of resin from pine trees. 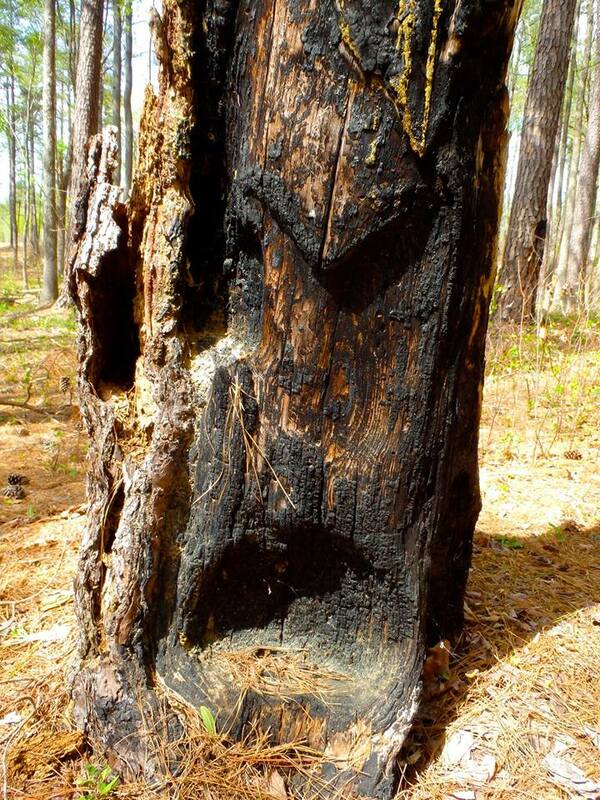 In this area of the sandhills this scaring dates to the late 1700’s to 1800’s during the naval stores industry. Now what in the world is a naval stores industry and what is this scarring and resin extraction all about? Join us outside the Rockefeller House to discover answers to these unusual questions. The Rockefeller House is a half mile from the parking area so make sure you arrive with enough time. Bring a bottle of water, hiking/walking shoes, and a camera (if you like to take pictures). This event will incorporate walking approximately 2 miles on flat sandy soil.